I am always on the look out for interesting ways to incorporate our families' faith into our every day moments. I felt God put on my heart recently the need to step up the prayer life for my two boys. I love that whenever they hear a siren now its instinctual to pray for the accident and the emergency workers. However, with their little sisters' sleep and general routine leaving something to be desired, bedtime prayers were either being forgotten or being limited in topic matter. Due to hubby's working hours, I am often juggling bedtime routine and rocking a baby to sleep at the same time. 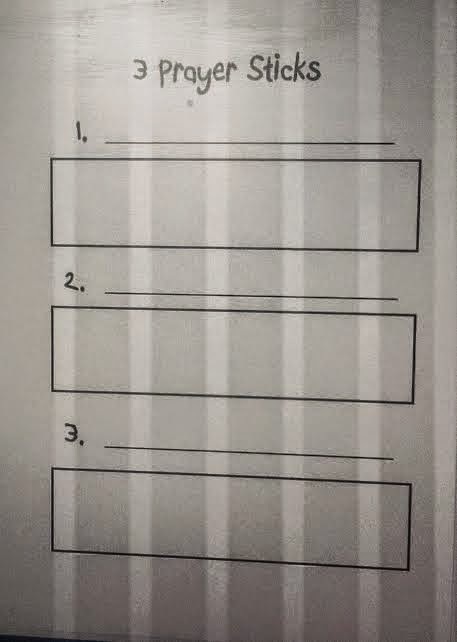 Helpful. So, I decided to make it tangible and exciting for the boys to pray for different things. Enter the Prayer Sticks. Then we hold on to our stick and pray for the topic we chose, and put it in the 'DONE' cup after. Except for the RED STICK. 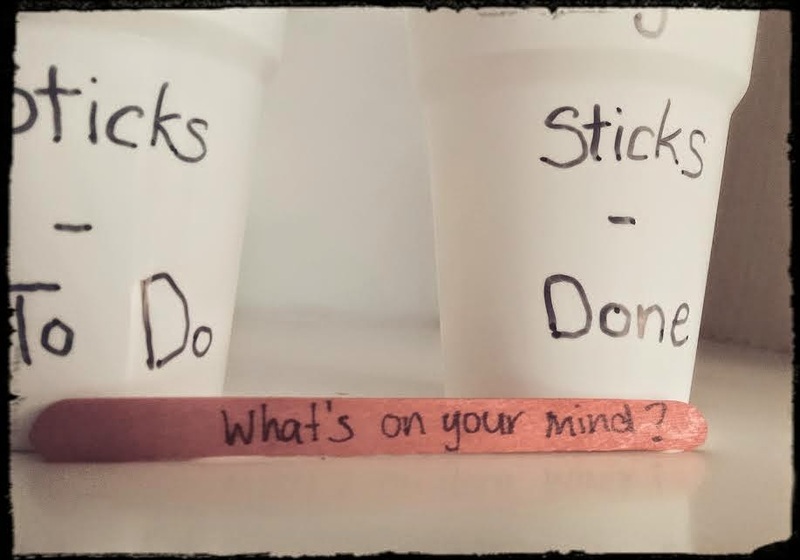 The red stick always stays in the to-do cup and it simply says "what's on your mind?" This allows the daily flexibility to include current celebrations/ concerns into our prayer life. For example, my 8 year old decided to pray for the family of Robin Williams who tragically passed away. This stick could be used for something that deep or simply, 'thanks for helping me on my test today God'. The aim here is a sort of free-choice that keeps our prayer life always immediate and current. 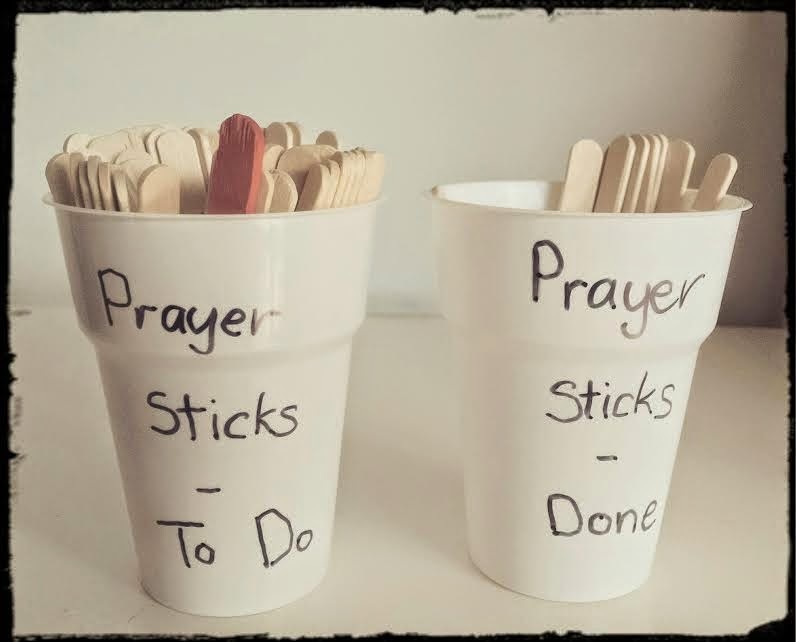 Such a simple idea has changed the way we pray together, hope this helps someone else to encourage your kids' prayer life. What would you add to the list?